The EUREKA! Musical Minds of California third biennial conference aims to create an unprecedented environment to showcase the diverse work created in California graduate music institutions. The 2019 conference welcomes EUREKA! alumni from the classes of 2015 and 2017 to submit proposals. 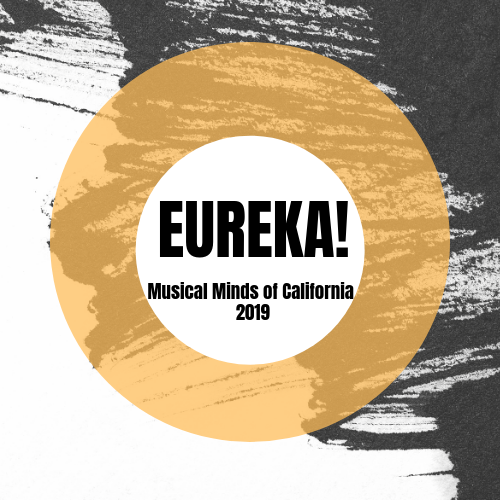 Directed by Elisse La Barre (UCSC) and Leslie La Barre (CGU), the 2019 EUREKA! conference will be brought back to the Bay on Sunday, February 10, 2019 at California State University, East Bay Music Department. The 2019 ensemble-in-residence will feature members of San Francisco-based, Amaranth Quartet. EUREKA! is pleased to invite composer/pianist Latin Grammy award-winner and Guggenheim Fellow, Dr. Gabriela Lena Frank as the 2019 conference keynote. Copyright 2015–2019 EUREKA! Musical Minds of California.